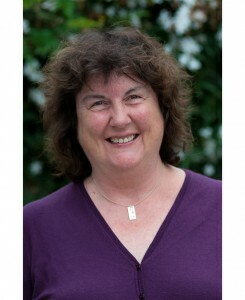 Gabrielle Donnelly was born in London and has known that she wanted to be a writer for as long as she can remember. She read, wrote, and daydreamed her way through grammar school in North London and to a Bachelor of Arts degree from London University; when she was 22, she got her first job as a reporter in the London office of the DC Thompson newspaper The Weekly News; she has made her living as a journalist ever since. In 1980, realizing that she had lived for all of her life in London and deciding that she should probably at least briefly experience living somewhere else before it was too late, she moved to Los Angeles for a six-month-long working vacation. She has never returned. She writes about show business for a variety of British magazines and newspapers, and, as a member of the Hollywood Foreign Press Association, votes every year for the Golden Globe Awards. 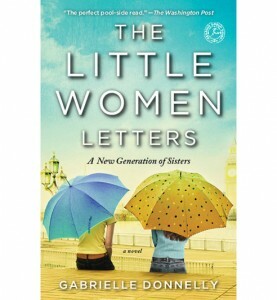 The Little Women Letters is Gabrielle’s fifth novel. Previously, Holy Mother, Faulty Ground, and All Done With Mirrors were printed in Britain by Victor Gollancz; The Girl In The Photograph was printed in America by Penguin Putnam. The Little Women Letters is the first to be published in both countries, and she says it is the one she has had by far the most fun writing. A committed singleton throughout her twenties and thirties, she surprised herself and everyone else at over forty by falling madly in love with and marrying Los Angeles-born computer specialist Owen Bjornstad. They live in Los Angeles in a spectacularly untidy house a couple of miles from the ocean, and make each other laugh a very great deal. Gabrielle is a Corporator of Louisa May Alcott’s Orchard House Museum in Concord, Massachusetts. I don’t remember how I heard of The Little Women letters, but it might have appeared on my radar (bookdar?) around Christmas, after watching The March Sisters at Christmas and finding a forum thread talking about other contemporary interpretations of Alcott’s classic story. I didn’t actually buy my copy until March (we got our check from the class action suit against a certain bookseller named after a river and a tribe of warrior women, and bought a ton of kindle books), but I read it in one sitting on a blustery spring day, and really enjoyed the experience. At first, I thought it was an odd choice to have only three sisters instead of the expected four, but it made sense in the end. I also liked the twist of Lulu (the Jo surrogate) following a path slightly different than what the reader – at least this reader – was led to expect. Overall, this is a lovely, entertaining read about fully-fleshed-out, smart, interesting young women, and the convention of treating the source material as if it were real works wonderfully. Nothing ever seems hokey, and nothing is ever too sweet or too perfect, despite the ultimate happy ending. Goes well with hot tea and apple crumble.